It’s been about 11 years since Pluto was demoted to dwarf planet status, leaving a 1,473 mile (2,370 kilometres)-size void in our hearts. Since then, the hunt for Planet X—aptly renamed Planet 9—has grown into an international movement to find such an object in the Kuiper Belt beyond Neptune’s orbit. 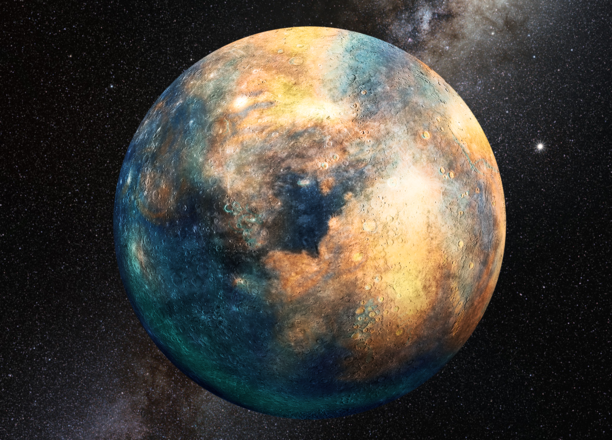 Now, scientists Kat Volk and Renu Malhotra from the University of Arizona’s Lunar and Planetary Laboratory are upping the ante—they suggest that a completely different, tenth planetary-mass object is hiding somewhere in the Kuiper Belt as well. Is someone keeping track of all these goddamn hypothetical planets? “At the end of the day, the solar system has quite a bit of real estate, so you can stuff a lot of small things in it,” he told Gizmodo. “What [these researchers] are talking about is not a massive body, so is it plausible for a Mars-like body to exist at 100 AU or so? Yes.” Although, it’s important to note that because the object is pretty small, it might not even fit the official definition of a planet, as it would have to clear its orbit of other objects—in this case, KBOs. Batygin explained that the Catalina and Pan-STARSS surveys should have had the sensitivity to discover a Mars-sized object somewhere in the Kuiper Belt. But searching for a tenth planetary object as small as this one in a region as vast as the Kuiper belt may not yield any definitive answers soon. Ideally, we’ll find planets nine and 10 relatively soon, before the void of Pluto’s loss consumes us all. Seriously, science, we need this.